Laser eye surgery, is it worth it? Contact lenses, reading glasses, sports glasses and the many optician visits can take a toll. You can achieve vision correction by one or a combination of the methods above. However, they are not permanent solutions and come with their challenges. Take contact lenses as an example, depending on the type of lens, you may have to replace them daily. Early vision problems may mean you are potentially looking at a lifetime of contact lens changes! One solution to a range of vision problems is laser eye surgery. Laser eye surgery, laser refractive surgery or laser vision correction involves altering the shape of the cornea to improve light refraction and consequently your eyesight. Or a combination of these conditions. 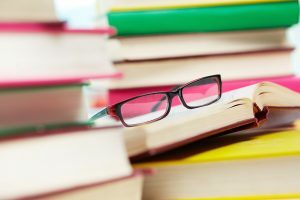 If you are over 45 years old you may be reading this article with the aid of a pair of reading glasses. Depending on the extent of your eyesight problems you may require glasses 24 hours a day. Wearing glasses impacts significantly on the lifestyle you choose and the activities in which you participate. For sporty and athletic people, wearing glasses hinders competitive participation. Activities such as hockey, swimming or scuba diving on holiday are suddenly out of the picture. Poor eyesight and compromised vision have a detrimental effect on the quality of life. Depending on the severity of your vision problems you may require the use of very thick lensed glasses. The use of thick lensed glasses often has an impact on confidence and self-esteem for some people. Contact lens technology has helped in overcoming the requirements for glasses for some people. However, with daily replacement and the monthly prescription costs, this may not be the ideal long term solution. 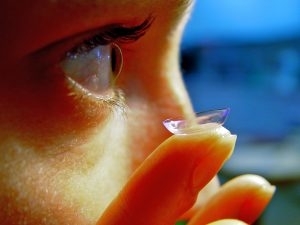 There is also the constant risk and worry of infections from contact lenses. The costs for laser eye surgery will differ from clinic to clinic which should be considered when deciding how to choose your eye surgeon. Costs should not be prohibitive to make people think twice about having the surgery done. Practitioners offer a variety of payment plans to make the course of treatment accessible to most people. What value is “perfect” vision? Refractive laser surgery is not a magic cure for all people, and your surgeon will conduct an assessment to ascertain whether you are a good candidate for the procedure to be carried out safely. Not everyone is suitable for laser eye surgery and it is very important that you meet the surgeon in advance of the date of your procedure so that you and he/she can discuss what is involved and for you to have an opportunity to ask any questions. So, is the surgery worth it? If you value spending time participating in your favourite sport without risking breaking your spectacles, then I would say it is. What would you give to be able to go swimming with your kids, or for a scuba diving holiday? These are some of the simple pleasures having the procedure and ditching your glasses presents to you. How about not having to go through the contact lens routine daily or fumbling for your glasses in the middle of the night when you need the toilet? There are tens of situations we could talk about, and you would probably agree that having the procedure would make your life better in those circumstances. Now comes the question, would laser eye surgery be worth it for you in these situations? If you are sitting on the fence about whether laser eye surgery is worth it or not, we hope in reading this article has given you an idea of some of the things to consider. If you are wondering ‘how long will laser eye surgery last‘ you can be reassured that in most cases it results in a permanent correction of vision. The best way to be certain is to think about the things you “can’t” do with you current eye care solutions. The next step is to speak to a laser eye surgery specialist to see if refractive laser surgery is an option for your particular situation.